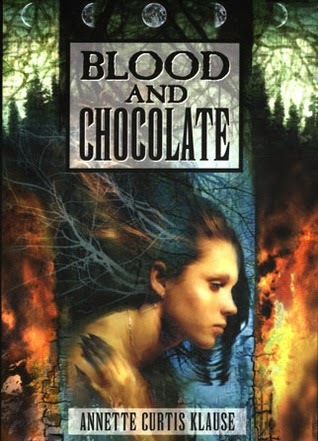 In "Blood and Chocolate", Annette Curtis Klause does for werewolves what Anne Rice has done for vampires. Sixteen-year-old Vivian Gandillon is trying to fit in to her new home in the suburbs. But trying to act "normal" isn't always easy, since Vivian and her family are werewolves. It's glorious to have the power to change, and Vivian is a beautiful "loup-garou" with all the young wolves howling for her. But she wants no part of her squabbling pack, left leaderless by her father's recent death. Then Vivian falls in love with a human, a meat-boy. If she reveals herself, will he relish the magic of her dual nature? When a brutal murder threatens the pack's survival, Vivian's divided loyalties are further strained. What is she really--human or beast? God. I wish someone would write another werewolf book like this. Or better yet, Klause should write a sequel. It’s the first true werewolf book that I ever read, and I loved it. Vivian is an independent girl who does make mistakes, but that’s really what the entire book is about. And DON’T judge this book by its movie. That movie was AWFUL! What’s your favorite werewolf book?